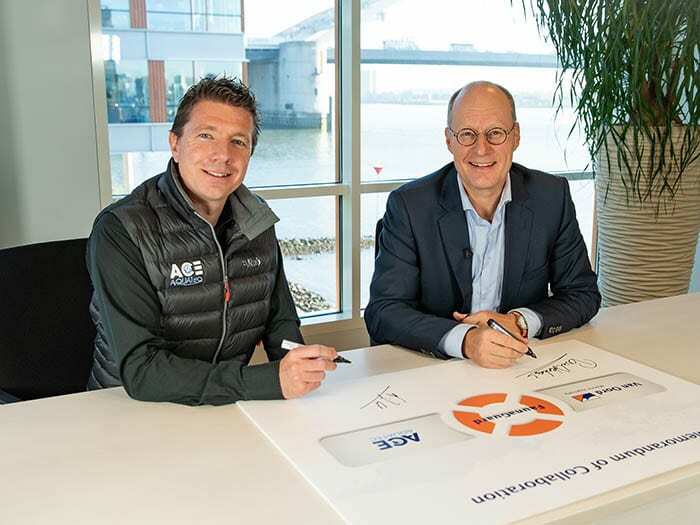 Rotterdam, the Netherlands, 16 November 2018 – Van Oord and Ace Aquatec have formed a strategic partnership to provide our jointly developed FaunaGuard system to all marine contractors and other interested parties. The FaunaGuard is an innovative acoustic device that protects marine fauna near offshore construction activities. The system, previously only available on Van Oord-led projects such as the Gemini Offshore Wind Park in the Dutch part of the North Sea, is now available for commercial use worldwide. It can be used during all offshore activities such as rock installation, piling, drilling, blasting and large-scale dredging operations to safely and temporarily deter marine fauna species using specialised underwater acoustics. Due to the increasing regulations regarding sustainability, the role of safely deterring animals away from construction works will become more important and is often even mandatory in order to execute a project. The porpoise module is the first module of the FaunaGuard that is now commercially available. In collaboration, Ace Aquatec and Van Oord will release modules targeting other species in the coming months and years and will continue research to develop further species-specific modules.